An engaged group of community and business leaders has made a commitment to develop a community and economic development strategy for the entire Valdosta-Lowndes County community. The initiative seeks to create a community-wide plan based on the needs and ambitions of our residents. One Valdosta-Lowndes offers an opportunity for our community to shape its tomorrows starting today. It seeks to go beyond city and county lines and silos to connect our community. It is important that throughout the year-long process that we are communicating to our citizens about the progress in an open and transparent manner. This website serves as the central hub for the plan’s progress sharing deliverables and progress. We invite you to return to the site often to stay up-to-date on our progress. During the strategy development, VisionFirst Advisors in coordination with the steering committee, will be providing deliverables that will be shared on this site. Below is an outline of the deliverables. The purpose of the plan is to develop a visionary, yet achievable, multi‐dimensional strategy that outlines a planning process intended to guide community and economic development for the next 15 years through an overall vision for the “end in mind”. The ultimate goal is to create a Valdosta-Lowndes Community and Economic Development Strategy. What communities are being looked at for the development of the strategy? While Valdosta-Lowndes County is the subject of the Community and Economic Development Strategy, it is expected that the strategy will expand the overall jurisdiction for purposes of an accurate analysis using data available from the surrounding region. In order for the implementation of the strategy to be successful, it is important to develop specific deliverables for the betterment of our communities within Valdosta-Lowndes while working in conjunction with regional efforts. What is the timeline of the plan? The expected timeline of the project is one year. The year-long timeline will allow the steering committee and consultants the opportunity to engage with all sectors of the community. Engagement will take place utilizing a variety of meetings, interviews, facilitated discussions as well as an online survey open to all community members. Who is the leading the effort? A team of engaged community and business investors spearheaded this effort to bring forth a far-reaching community plan. Partners in the strategy’s development include City of Valdosta, Lowndes County, Georgia Power, the Valdosta-Lowndes County Development Authority, Valdosta State University, the Valdosta-Lowndes Chamber of Commerce and South Georgia Medical Center. This group of partners have joined together to hire VisionFirst Advisors economic development constultatnts focused on location advisory services, economic development strategy, organizational management and result-driven marketing and communications. VisionFirst has experienced economic development at every level both from the perspective of the local community as well as that of the corporate client. How can I be engaged in the plan? Engagement will take place utilizing a variety of meetings, interviews, and facilitated discussions as well as an online survey open to all community members. The meeting calendars will be posted on this site, so please check back often, and when available please share your thoughts by taking the online community survey and sharing the survey with your community members. After 30 years of leading public and private economic development organizations in three different states, Gray Swoope helped launch VisionFirst Advisors, LLC, an economic development consulting company focused on location advisory services, economic development strategy, organizational management and result-driven marketing and communications. The VisionFirst team has experienced economic development at every level both from the perspective of the local community as well as that of the corporate client. Utilizing innovative research and personal outreach combined with our collective team’s 90 plus years of experience, VisionFirst has established itself as a go-to firm in the economic development consulting field with a variety of clients from more than 20 states. A recognized leader in economic development, Gray leads VisionFirst Advisors, serving as President and CEO. From 2011-2015, he served in Florida Governor Rick Scott’s administration as Secretary of Commerce and as President & CEO of the state’s principal economic development organization, Enterprise Florida (EFI). Prior to his tenure in Florida, Gray served as the Executive Director of the Mississippi Development Authority (MDA) under Governor Haley Barbour. Gray earned both undergraduate and graduate degrees from Mississippi State University. A keen economic development strategist, Melissa is experienced in the full array of disciplines under the strategic planning and marketing umbrella. 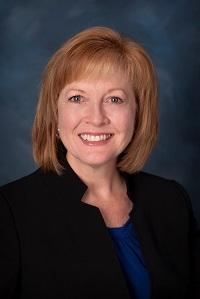 Prior to joining VisionFirst, Melissa served as chief marketing officer of Enterprise Florida Inc. Before joining Enterprise Florida, she led Mississippi’s economic development marketing efforts as Chief Marketing Officer for the Mississippi Development Authority. 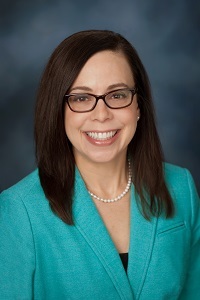 Melissa earned a Bachelor’s degree from the University of Southern Mississippi and is certified in marketing management by the Accreditation Institute of Sales and Marketing Executives International, Inc.
Griff serves as a Principal for VisionFirst Advisors in Orlando. 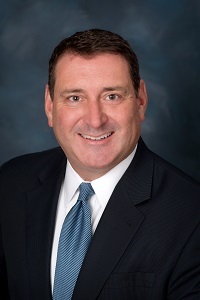 Prior to joining VisionFirst, Griff served as the Executive Vice President and Chief Operating Officer for Enterprise Florida. 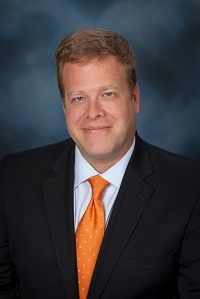 Griff also served as director of the Mississippi Development Authority’s (MDA) Global Business division. Griff was also congressional liaison for MDA’s Federal Department of Defense and Congressional Liaison Bureau. Griff earned a master’s degree in public policy and administration at Mississippi State University and a B.S. from Millsaps College. Nancy brings more than a decade of executive-level marketing, communications, government relations and economic development expertise to VisionFirst. Nancy previously served as the National Director of Communications for the Foundation for Excellence in Education (ExcelinEd). Prior to ExcelinEd, Nancy served as Vice President of Strategic Alignment & Communications at Enterprise Florida (EFI). Before EFI, Nancy served as chief communications officer for the Department of Economic Opportunity (DEO) and has also served in leadership roles at the Department of Health and the Department of Environmental Protection. She is a graduate of Florida State University.